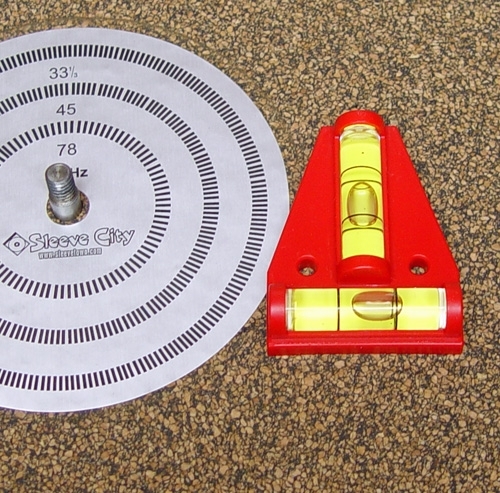 This two-way bubble level is ideal for checking the alignment of your turntable platter, measuring both the forward/back and left/right axes simultaneously. Simply place it on your turntable and notice the position of the bubbles. If they are within the center pairs of lines, your platter is level. Indispensable for ensuring a level playing surface and accurate setup! Great quality level. I like the fact that you can check level in 2 directions. 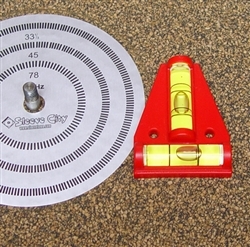 I use this and the Diskeeper tonearm headshell level to check level of turntable platter. A nice level at a terrific price, thank you.